The Fierce Beagle: Isn't she lovely? I'd go so far as to say she's wonderful. Isn't she lovely? I'd go so far as to say she's wonderful. My gal pal Sal (<--opening rhyme = you can tell this post is going to be good) of Already Pretty is on a Crusade I'd like to join, and not just for the inevitably stylish tunics. Sal wants us all to love ourselves. I find loving other people fairly easy. While I wouldn't classify myself as a Lover of Parties With a Lot of People, it's easy for me to appreciate someone else's generosity or creativity or what have you. The thing about the Internet, like the world and life etc., is that it is what we make of it. It can be full of support and connection, or it can be full of bitterness and spite. Swistle, one of my very favorite bloggers, recently published an emotionally moving post about her physical appearance, and boy howdy did the comments section turn ugly. The comments section also turned ugly on a recent post over at What I Wore, in which Jessica (the blog's author) set out some guidelines for commenting which to my understanding basically outlawed trolls and meanie-poos. I had no problem with the Fascist Censorship she was literally accused of. Swistle's post had a lot to do with perception and being plus-sized, and I realized I have several gal pals who are plus-sized (Swistle now included) who I find very beautiful. Gorgeous, even. Funny. Incredibly creative. Loving. Generous. They are everything you'd want in a friend, and none of it has to do with size or shape (although I'd like to reemphasize that I truly see all my friends as physically lovely). And that's the thing!! I honestly find all my friends physically lovely! Regardless of their size or shape! I don't see the "flaws" they see in themselves. But I'm not so easy on myself. Sal recently said that she wished she could see herself through the eyes of the people who loved her, a profound wish that I, too, share. Because if all of you could see yourselves the way I see you, well. Perhaps there would be world peace. So I'm going to assume that you all are A-OK with how I look. That you don't care about the softness around my middle (I was kidding about taking a lover, by the way, although I did eat a cereal containing twigs). That you find me luminous even if I'm not wearing my luminosity-enhancing makeup. That you're impressed that my feet are never stinky, and you think that's a great quality. That you don't mind my crossed front teeth. That you understand in certain unflattering lighting situations I appear to have a double chin, but that's fine. In conclusion, here is my favorite photo of Meryl Streep, which I had already picked as my favorite before Vanity Fair revealed that in it she isn't wearing makeup (and obviously doesn't have her hair done). Obviously, I think she's loveliest when she's herself. 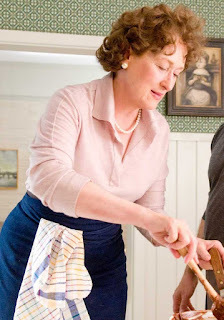 I'm borderline obsessed with Meryl! But Internet trolls are the WORST. I can tell you some stories that would make your hair curl. Here's to beauty in all its shapes, ages, and forms. Erin, you are most lovely! That's what I love about not having any readers... I don't have to worry about trolls. Looks... that's a hard topic. Zero importance in friendships. It gets less black and white where romance is involved, and I could write volumes on that convoluted relationship. But loving yourself, I think that is difficult on some level for most people. And not being thrilled with the DNA you've been assigned isn't just a woman's dillema. I'm still trying to figure out how Matthew McConaughey got the body I was supposed to get. You know, more people need to be more considerate. not just on the internet, but in life in general. 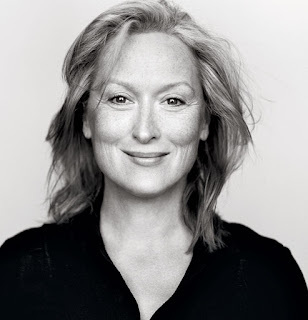 I agree - Meryl is GORGEOUS! I have major body image issues - I need to work on liking myself as I am, then maybe I'll treat my body better! As a hairdresser, I hear it all the time. Curly hair girls want straight hair. Straight hair girls want curls. Girls with thick hair wish it was thinner and girls with thin hair wish they had more. Brunettes want to be blonde. Blondes want to be...well, blonde. :) But the moral of the story is that everyone always thinks the grass is greener on the other side. I see flaws on my body that nobody would ever notice. Days when I feel "fat" are the days that people ask me if I have lost weight. When I don't do a thing to my hair, someone always compliments it. We are ALWAYS our own toughest critic. But what a novel idea! If only we could bottle the way others see us and take a swig of that every now and then, we'd have so much more inner peace. Wow!~ I am loving your blog. I think I have a new addiction! I saw you on a list today on the Triad Smarty Pants web site and I have somehow now lost 30 minutes of my morning surfing around. I, too, love me some Meryl Streep. The woman she portrayed in Mamma Mia was so young and vibrant in contract to Miranda Priestly, and she played both roles brilliantly! Thanks for the shout-out, my dear. And I'd think you're luminous even if you'd just been dipped in a mud pit. Well written! You are beautiful inside and out! Oh really good post! And of course you're lovely :D It's weird, I read Swizzle's post and all 225 (!) comments. It had obviously taken her a lot to "come out" but then I saw her picture and thought "but you're fine!!" Also, Meryl Streep looks far lovlier *without* the makeup than all those fashion images of made-up models photoshopped to look barbie-smooth (ick). Love this post. Having a sister who is drastically different from me in many ways (be it our physique, aptitudes, or perspectives), I've been allowed to sort of "see" (through her) what it would feel like to be a very different version of my DNA cocktail. . . I think you are, most definitely, a lovely lady. The memories of your distinctly Erin facial expressions still bring a grin to my face, even several years after having last experienced them in person. AND your participation in the triathlon was a contributing factor to my decision to get out there and try some new things (Hooping the Half!). If being a fondly-held memory and inspiration aren't reasons to believe in the reality of your own beauty, what are? 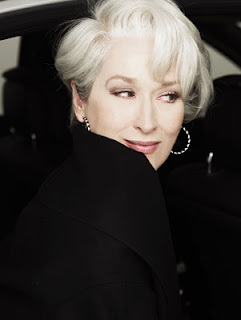 Lovely post and yes, Meryl Streep is fabulous! May—By all means, tell me. I could use a little more body in my hair. Neon Panda—Although I often joke about wanting to take over the Internet with my wit and charm, in truth I cherish each of my few readers so much. I like being one of a community instead of one in a bajillion. The Bug—I don't like to get preachy, but we are all beautifully and wonderfully made. Damsel—A very Harry Potterish idea—self-love potion! Victoria—I'm so happy to have you as a reader! Also, you'll discover I have an unhealthy love of The Office, hence my knowledge that Meryl Streep is Michael Scott's favorite actress. And with good reason! Sal—I could link to you every darn day, my friend. Costume Diva—You're too sweet. I can't wait to finally meet, maybe next time you're in town? Catherine—Although I knew that models were Photoshopped, it didn't really sink in until I started watching Photoshop tutorials on YouTube, with before and afters. Now I look at magazine images as artistic productions of talented designers. Pines Lake Redhead—Isn't it strange how we tend not to believe all the things we're told by those who love us most? I mean, of course they're biased. But why is it bad for someone to be biased toward thinking you're beautiful?? The bias springs from love, and if we can't believe in that, well then what can we believe in? Bethany—Don't you just love Swistle? I've found that by thinking positively about other people and noticing that I don't notice things they might consider flaws, I've been able to see myself with more kindness. Erin, your blog is such a joy to read. I am so glad I found it! Happy New Year! You and your words are lovely! Jesus Christ! I don't think I've ever seen a comment thread quite like that on on Swistle's site. What's interesting is the level of unease in almost every standpoint - there's a default position of defence so it's no wonder that things get nasty if anyone looks too hard. I love Meryl Streep (she was the only bearable thing in that Devil Wears Prada thing) - but it's interesting how the existence of the picture is an story in a way (and this in itself is a cliche, I know) that wouldn't be the case for Kevin Spacey or Clint Eastwood. I have to confess that I actually have no idea what you look like - I had to scroll up and look at the picture at the top. I just stop by every now and then and enjoy your blog.